Choi and Robert secured their wedding date over the phone a year before their wedding and met me for the first time at Lake Windermere for their engagement photo shoot. We were so lucky with the weather it was such a beautiful day! I like to spend time getting to know couples before their wedding and Choi and Robert loved being photographed down by the Lake. When Amanda told me her wedding plans I just knew her wedding was going to be so romantic. Initially she was going to marry Gavin with hotel staff as witnesses with the couples two sons as their wedding guests. On the day of Amanda and Gavin’s elopement wedding the bridal party had grown by just two more wedding guests, these were their best friends and would also be their witnesses. I’ve photographed a lot of weddings over the years and all of them have been unique and special in their own way but this was my first very intimate wedding! The Merewood call very small weddings their “Just-Us Package” which is suitable for a maximum of 6 including the couple and their Children. 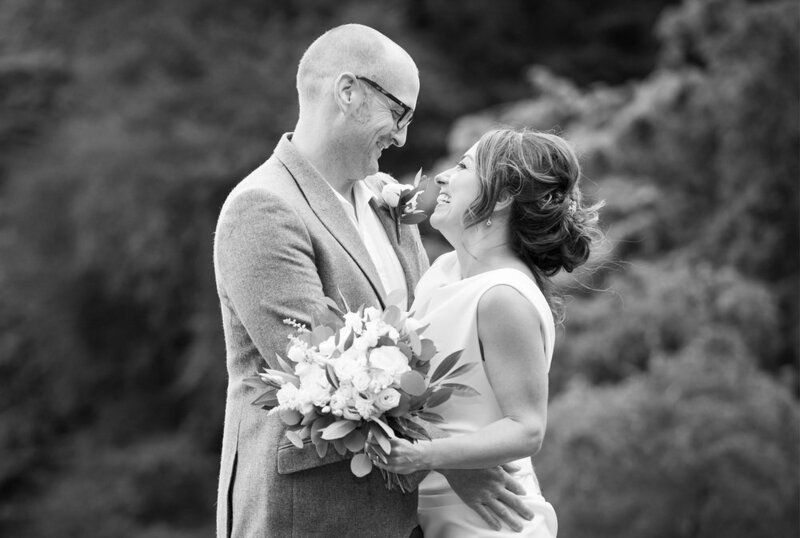 Helen & Calum were so lucky with the weather for their wonderful Merewood Hotel Wedding. It started to rain just as we got outside but thankfully the rain stopped and I was able to capture some fantastic candid moments in the beautifully kept Merewood grounds and down by Lake Windermere.